Our Turbo-Hydramatic THM 700R4 transmission is our most popular is our most popular automatic to date. Its popularity is no mystery due to at the large variety of GM, Chevy and other vehicles these transmissions are compatible with. Not to mention how popular the 700R4 transmission is for use in conversions such as hot rods and race cars. 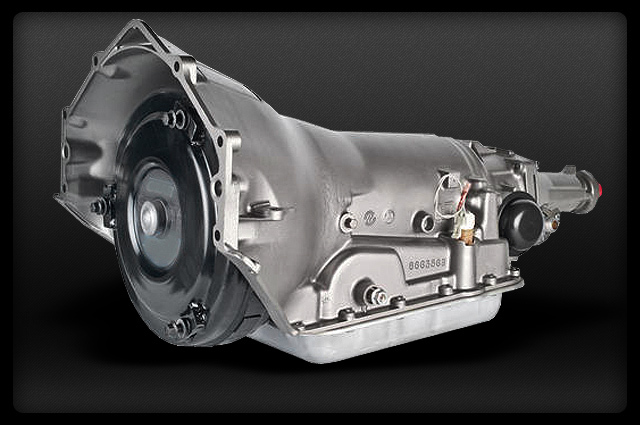 Our GMC 700R4 transmission exceeds industry standards in torque handling, performance and value. We load every unit with the latest in aftermarket upgrades. Our rigourous testing process ensures customers that our 4L60 transmissions live up to the Smart Parts name. The 700R4 has been called many different names. One of the most popular is the 4L60. Any way you say it we are talking about the same transmission. one of the easiest ways to identify the 4L60 transmission is the distinctive 16 bolt oil pan pattern as shown on our site. 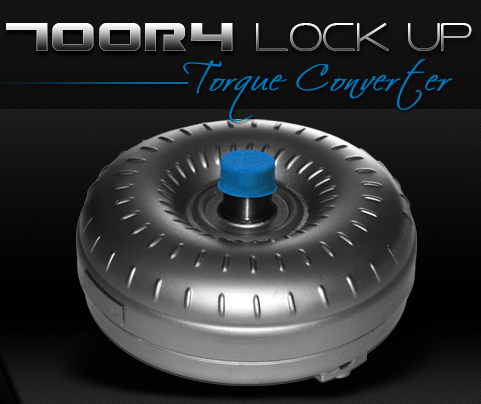 Our 700R4 lock up torque converter is included with every transmission. The lockup is a technological advancement that allows absolutely zero slippage when the transmission enters 4th gear. This upgrade lowers engine RPM's and temp. Your 700R4 transmission will also experience a reduction in thermal viscosity and wear. In addition the lockup will make a noticeable improvement with your vehicles fuel economy. There have been many reports of issues with this transmissions factory supplied governor. The most common of these governor problems is that the internal gears had a tendency to stick and the springs were notorious for popping out of place. We have upgraded both the gears and springs to solve these long standing issues. Our performance 3-4 clutches and shift kit modify the holding pressure of the clutch pack. This helps prevent 700R4 clutch pack loss during operation. Leaking fluids is always a serious problem with transmissions the the 4L60 is no exception in fact they are notorious for hemorrhaging oils after extended use. Our seal and gaskets have been upgraded to the latest in molecularly bonded materials. They are rated and tested for their ability to withhold the maximum pressure the 700R4 transmission can build. We don't charge extra for necessary components. The 700R4 torque converter is included with every transmission. One of the ways you can identify the 700R4 transmission from its counterparts is by the shape and bolt pattern of its oil pan. The 700-R4 pan contains 16 bolts. The diagram below shows the pattern on the figure labeled with the number six. The case will have the letter H or C embossed into it. When interchanging Camaro and Firebird with other models, the rear extension housing must be switched to mount the torque arm. Be sure the "T.V." or throttle valve cable is properly adjusted during the installation to ensure the 4L60 transmission does not overheat. Do you offer a higher stall torque converter? Yes, we do offer a better torque converter. It is a high stall converter and is made for hot rods and racing vehicles. This is a must have for any racing enthusiast. What is the difference between a 700r4 and a 4l60 transmission? There is no difference between the 700R4 and the 4L60. In 1982 the 700R4 Transmission started production and in 1990 they renamed the 700R4 to the 4L60. 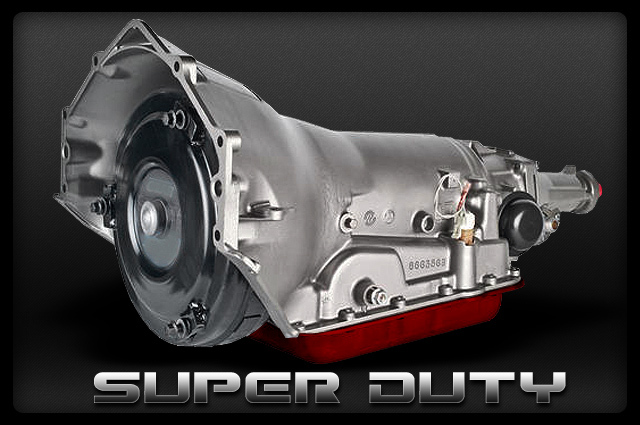 "I purchased a remanufactured 700r4 from Smart Parts for my Corvette and this transmission has been awesome. Very impressed with the way it shifts and handles." "I was in the market for a transmission replacement for my GMC Jimmy. I found Smart Parts online and gave them a call. The sale rep was very knowledgable and answered all my questions. I was shocked by how great the price was, almost thought it was to good to be true. I received my transmission and it is running great. I am very impressed with not only the product but the service they gave me." "I recently purchased a 700r4 for my Camaro. I am so happy I decided to buy it from Smart Parts. Man, my car has never been better. Thank you for offering such a great transmission. I will be recommending you to everyone I know!" In order to keep our 700R4 Transmission at such an unbelievably low price, we need to take a deposit on your old or broken unit being sent back to us. The core deposit is added to your total then is completely refunded when it unit arrives at our facility. Because we use so many new parts, our rebuild process doesn't require a perfect core to be sent back. Please call or click on the tab for acceptable core conditions and details.